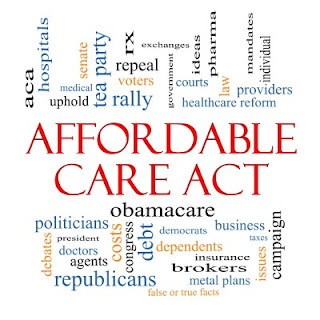 As we inch closer to the 2014 implementation date of the Affordable Care Act, individuals, business owners and employers are scrambling to learn as much as they can about the act and how its individual provisions will affect them. While much attention has focused on the mandate that every American must carry health insurance coverage or face penalties when they file their annual income taxes, the new laws also include several significant changes that will influence how employers will manage payroll going forward. If you are an employer, understanding the tax and payroll-related provisions of the Health Care Act before the laws take effect in 2014 can prevent costly mistakes and ensure you are complying with government regulations. The following are some of the new regulations that have the potential to influence how you manage your company’s finances. Currently, all employees pay a 1.45-percent Medicare withholding tax on their earned income. These funds go toward paying the bill for medical coverage for Americans over age 65. Starting in 2013, those earning more than $200,000 per year are expected to foot a larger part of the bill. The Affordable Care Act calls for individuals earning more than $200,000 per year and married couples earning more than $250,000 in combined income to pay an additional 0.9 percent for Medicare taxes. What makes this change slightly complicated for employers is that currently, employers pay a matching 1.45-percent Medicare tax for each employee, but the additional 0.9 percent is not matched. In other words, employers with workers earning higher wages only need to match the first 1.45 percent of Medicare taxes. It’s important for payroll to implement a system that will not only ensure that higher-wage earners pay the taxes they owe, but also that the employer only pays its portion of the bill. Until recently, flexible spending accounts, either for medical or childcare expenses, have long been an attractive benefit for many employees, allowing them to pay for daycare, physician co-payments and even over-the-counter medications and be reimbursed using tax-free income. But the Affordable Care Act included changes to the rules regarding these programs that employers need to understand. The first major provision is that the act cut the contribution amounts to healthcare flex to $2,500annually .However, employers can still add as much as they want in matching contributions. It’s imperative payroll has systems in place to ensure that flexible spending accounts are managed properly. Childcare FSA limits did not change. Another significant change? Flexible spending account funds can no longer be used to reimburse employees for over-the-counter medications. While most individuals know that they will face a tax penalty for not carrying health insurance in 2014, employers should also realize that they are responsible for offering adequate health coverage for their employees or they too will face stiff penalties. Employers with more than 50 full time equivalents will be subject to the “shared responsibility” excise tax beginning in 2014 if they fail to offer health insurance coverage that costs less than 9.5 percent of a full-time employee’s income or fails to cover at least 60 percent of expenses. If one of a business’ employees purchases insurance on the individual exchange and qualifies for a tax subsidy for his or her health insurance coverage, the business will be assessed a penalty of $2,000 per employee in excess of 30; a business with 100 employees would have to pay $140,000 annually if its health coverage is deemed inadequate under the terms of the Affordable Care Act. Clearly, these changes have the potential to create a significant impact on an employer’s bottom line if they are not handled correctly. For that reason, payroll needs to be handled by a qualified professional with a thorough understanding of the new laws and requirements. Small businesses should consider recruiting the services of a professional payroll service or tax professional to ensure that they are following the letter of the law — or face serious and expensive consequences. About the Author: Sydney Benson is a small-business blogger who has been following the development of the Affordable Care Act from the beginning. She recommends checking out the National PEO homepage for more information about services for those seeking compliance with the ACA.